When you think of the apps on your phone or tablet, games like CandyCrush, or social media apps like Snapchat and Instagram might come to mind. Although these are the most talked about, and no doubt the more popular downloads you hear about, apps can be so much more than games and social media. If you know the right ones to download, apps can do everything from tracking your fitness goals, to allowing for digital purchases, and even saving you money. There’s an array of apps that enable you to create and follow your budget, provide you with coupons at the touch of a button, and help you save on gas. Of course, there’s many more that allow you to do even more than that, so let’s review a few. Here are 7 apps that can help you save money. HomeBudget is an app to help you with tracking and managing your spending. Apart from the fact that it’s quick and easy to use, it’s an app that you can sync to multiple devices, allowing you to keep track of your budget in one place from literally anywhere. HomeBudget provides you with pre-set categories or gives you the option to create your own if you’d prefer. The app also provides you with a thorough glance of your financial goals, bills, accounts, and monthly expenses, so you’ll always know exactly where you stand. It’s available for Android and Apple devices. Another popular app for helping you stay on budget is Personal Capital. Personal Capital is free to use for Apple and Android users. You can calculate your net worth, set a budget, manage your investments, and plan for retirement all with this one app. It’s a great all-in-one solution for those who don’t want to check multiple places for all of their financial information and goals. If you don’t want to clip and carry traditional coupons with you when you go to the store, you can still use coupon-style apps to help you save money. Checkout 51 is kind of a unique coupon app because it provides you with a discount, in the form of cash back, after you’ve made a purchase. All you have to do is snap a picture of your store receipt and add it to the app. Your “coupon” credit will be added to your account. Once you reach $20, you can opt to receive a check in the mail, or let your balance keep growing. Slice doesn’t exactly have coupons, but it will save you money. How many times have you purchased something only to find that it’s gone on sale a day or two later? If you’ve been in a similar situation multiple times, then Slice can help ensure that you always receive your purchases for the lowest price. Slice watches stores where you’ve purchased items for up to two weeks to see if the price of an item you bought drops. If it does, the app gets the store to refund you the money you would have saved had you hit the sale. It’s available for both Android and Apple users. Unlike some other gas apps, Gas Guru doesn’t make you spend any time reporting the gas prices you see, and it’s quick and simple to use. It allows you to find the cheapest gas prices in the area near you no matter where you happen to be. You have the option to view results by map or list and it lets you know how far each gas station is from your current location. Gas Guru also lets you know when prices at each location were last updated, that way you’ll never arrive at a certain location only to find out the prices have gone back up. It’s also available for Android and Apple devices. Fuelzee is another app for Android and Apple users that helps drivers find cheap gas prices nearby, however, it also helps users utilize that gas in an efficient way. It monitors your gas mileage so you know just how many miles you get per gallon. Fuelzee also allows you to earn discounts and rewards, and possibly even a tax credit by tracking your mileage and gas purchases. This is a great idea for business owners or employees who can deduct their mileage or fuel expenses. If you’ve ever gone grocery shopping, you know the power of the impulse buy. Whether you’re hungry as you shop or something at the end of the aisle catches your eye, it can often be difficult to resist the things right in front of your face. Wunderlist helps you eliminate those temptations. This app eradicates the need for a paper grocery list, and ensures that you always have your list on hand. If you ever think of something last minute, you can easily add it to the list without worrying about having pen or paper. Wunderlist forces you to have a set plan when you step foot inside the grocery store. It not only saves you money by helping you bypass any extras you may be tempted to buy, but it also assists you in making your trips to the store quicker by keeping you on task. And let’s face it, in our world today, time is money, which means an app that saves you time, saves you money. Saving money doesn’t have to be difficult. You don’t have to pour over coupons or sit down with pen and paper to formulate your budget. In our digital age, apps can do all of that work for you. They’ll up your productivity, find you cheap gas, provide you with coupons at the touch of a button, and keep your budget at your finger tips. 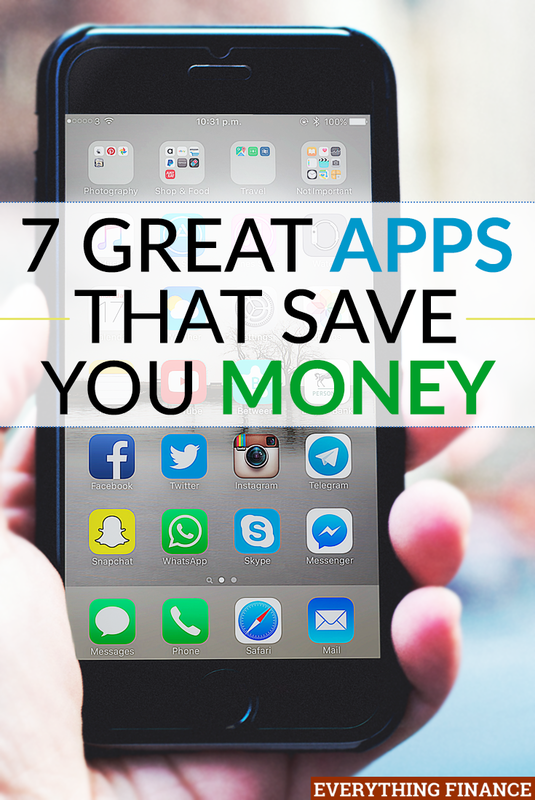 With the help of a few key apps, you’ll be able to save more money with less effort. Of course, you can’t forget to throw in a few for entertainment; after all, you know you’re dying to see the latest SnapChat filter. What are some apps you’ve used to save money? Have you used any of the ones listed here? Present i am using this app HomeBudget, this app easy to use. good apps collection, very helpful for all people..
Is a Gym Membership REALLY Worth it for You in the Long Run?